Hair often gets a rough deal; tugged, teased, blasted with hot air, scorched with sizzling irons and dipped in colour-stripping chemicals… none of which make for a glossy, contented mane. Colour and chemical treatments, coupled with regular heat styling and over-exposure to serums, sprays and oil-exacerbating elixirs, can result in locks looking more than a little bewildered. 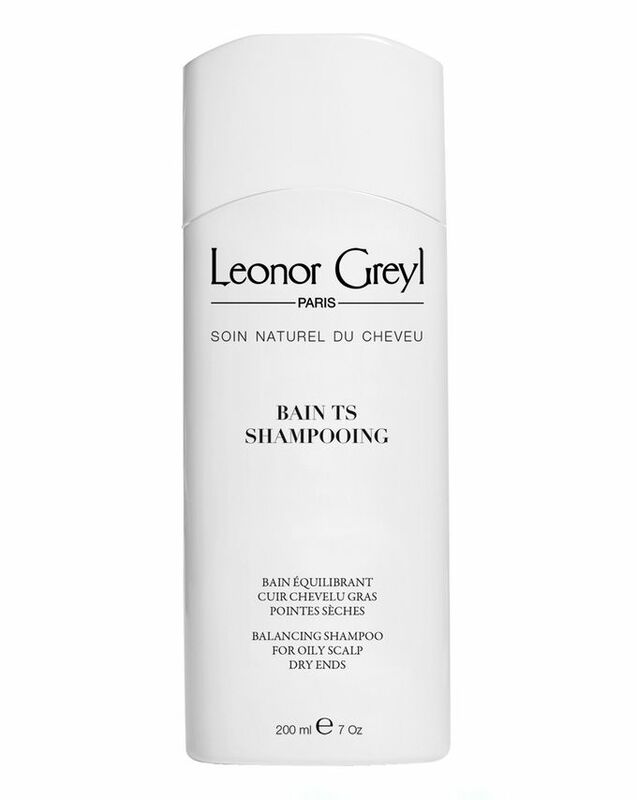 Luckily, Leonor Greyl’s ‘Bain TS’ helps to counteract the damage wrought by too much mane-taming, whilst clarifying greasy roots and dissolving dulling dirt and residue. Et voila! Bouncy, balanced locks which gradually graduate from temperamental adolescence to glossy, grown-up gorgeousness. This is perfect for combination hair. There are masses of products to treat combination complexions, but combination (s)tresses are invariably overlooked… until now. 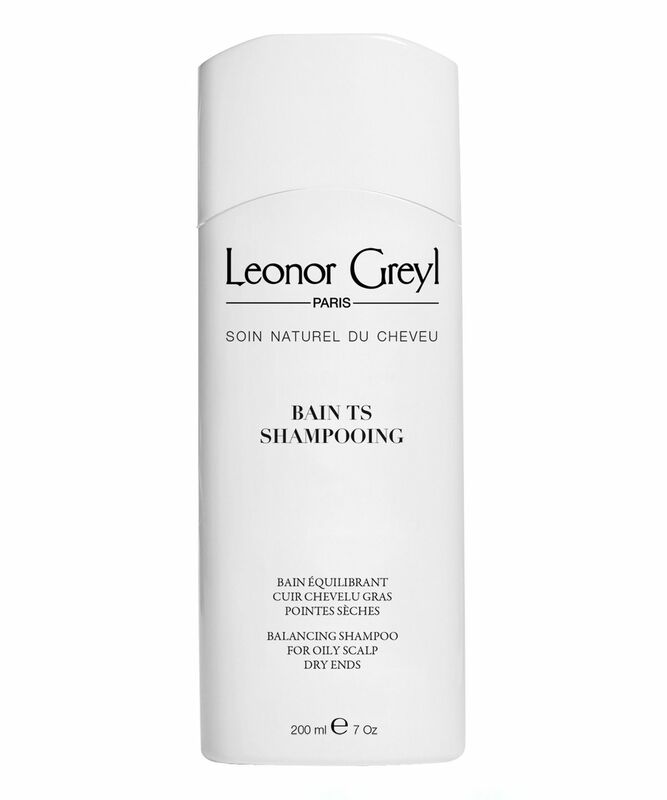 Leonor Greyl’s ‘Bain TS’ is targeted towards split personality hair types, with oily roots and brittle, dehydrated ends that emerge from the shower either parched or weighed down with residue. In ‘Bain TS’ the mild astringency of Lime Tree oil helps to purge roots of grease, product build-up and residue, while Yeast helps to moderate sebum production and the anti-perspirant properties of Sage cleanse and purify congested scalps. A blend of vitamins and plant proteins then nourish and fortify vulnerable lengths and ends for happy, harmonious hair. After treating hair with Hulie de Palme, wash with 'Bain TS' using fingertips to invigorate the scalp and dissolve dulling build up and residue. Rinse thoroughly and repeat if you use a lot of product/live in a polluted, urban environment. I bought This in Hope that it would do what it’s supposed to do, balance my scalp and hair. Well, it did not work at all! It actually made my hair flatter. I would not re-buy it, I haven’t even finished my first and last bottle! This shampoo is good for my oily scalp especially for the hot and humid weather in Asia. Love the gentle citrus scent. I have fine hair and I have always had a very oily scalp. I need to wash my hair every other day and cannot go two days without washing my hair as it just goes very greasy. After reading reviews I thought this product would help as I have tried a lot of products which do not help (only dry shampoo helps to temporarily make my hair look non greasy) I washed my hair out at night with this shampoo however it does not lather well and so I had to use tonnes of it. It felt very harsh on my hair as it was quite drying. The next day my hair looked greaser than usual and throughout the day my hair just kept getting greasier and greasier! If anything this shampoo actually made my hair greasier instead of preventing it as this does not happen with any of my other shampoos. With normal shampoo I can go at least a day without greasy hair however this shampoo did not even let me do that. Would not recommend. Very disappointing. I have curly/frizzy hair with really oily scalp and this beats all of the other shampoos I've tried in terms of combating my oily scalp. I can now go two-three days without washing my hair, which was impossible before. 4 stars, because it doesn't lather too well so I feel like I need to use a lot more product to give a thorough washing, and also it's drying especially for the ends of my hair, so much so that I've taken to coating the ends with conditioner first before shampooing. Other than that, this product is amazing!